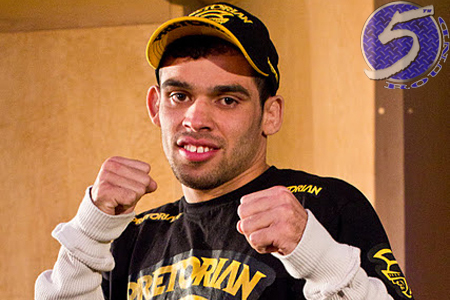 It’s great being a UFC champion, but being a UFC interim champion, maybe not so much – according to Andre Pederneiras, who manages UFC interim bantamweight champ Renan Barao (pictured). Pederneiras believes Brazilians want to back “true” champions, not ones who don a manufactured belt because the real title holder is out with an injury. Pederneiras recently claimed the “interim” moniker on his client’s business card is costing Barao dearly in the sponsorship department. UFC president Dana White counters the “interim” label has nothing to do with Barao’s marketability and suggests Pederneiras and his people start hitting the Brazilian pavement harder to land Barao more lucrative endorsements. “[Barao’s] losing money because they’re not doing a good enough job promoting him,” White deadpanned. “That’s why they’re losing money. They’re losing money because [Pederneiras is] not trying to get sponsors hard enough. Listen, I love Andre Pederneiras, we go way back … but some of the things he says are a little out there and a little crazy. White believes Barao’s inability to speak English and the fact he competes in the less-celebrated bantamweight division has played a part in his difficulties connecting with a larger audience. However, once the cage door shuts and the spotlight hits him, not many stars shine brighter. “He’s got some things against him, like [not speaking English and fighting in a smaller weight class],” White admitted. “But my philosophy is always this, if you stay home on Saturday night, and you buy a pay-per-view or you show up to buy tickets, you’re not showing up to see Renan Barao give a comedy routine. You’re there to see him do spinning-back kicks to the f****** face and knock people out, and that’s what he does. Barao hasn’t lost a fight since his professional debut in April 2005. The 26-year-old is unbeaten in his last 32 outings, with one no contest mixed in the middle of his torrid run, en route to scoring two successful UFC INTERIM title defenses. He’s hoping to forever erase the “interim” label from his title and unify the 135-pound crown against champion Dominick Cruz in early 2014 – assuming Cruz can finally end his two-year injury-riddled hiatus, of course.